Are The Railways Going DOO-lally? Politics is all about argument. Sorry I mean rational considered debate as we see in Parliament every week, and more locally between Ipswich Borough and Suffolk County Councils. It is very rare for anyone engaged in such rational considered debate to say "I say, old chap - you have convinced me I've been barking up the wrong tree all this time, and I now accept that you are indeed correct in your thinking". Just doesn't happen. In no area has this rational considered debate been more protracted than the current industrial action on Southern Trains. Driver Only Operation divides opinion more than the EU referendum did - those who are for DOO are passionately in favour of it. Those against are almost terrified of it. I am in the latter camp, and I will explain why. So you're going on holiday, or a business trip, or to follow Ipswich in Europe. Sorry I'll keep it serious but after a nightmare drive to the airport you get to check in to find a bank of machines, no people to ask advice, or about aspects of the flight. A machine checks your luggage isn't overweight, prints your boarding card, and displays "Next Please". Somehow you find your way through the unsmiling passport control, and into departures listening for the automated announcement to tell you which gate your flight is departing from. You still haven't seen a human being to get information from. Of course the business travellers are ok with this - they do it everyday, but the once every five years holiday maker, or the old lady flying for the first time since her husband died and missing his leadership looks hopelessly lost. Finally your flight is announced, and you walk the endless miles to your gate to see a gigantic Airbus A380 gleaming in the morning sun. The largest passenger jet ever, a monster capable of accommodating up to 853 passengers. Yet as you enter the aircraft there are no smiling faces to greet you, check boarding passes, make sure Ipswich and Norwich supporters are separated and don't spoil the trip for everyone, or help those less mobile find their way around. Still eventually a bleep sounds and the doors automatically close. Instead of the usual safety demonstration the pilot makes an announcement inviting you to "familiarise yourself with the safety notices displayed throughout the aircraft". It emerges that the pilot of this massive machine is the only crew on board. Sure there is a girl with a trolley selling expensive teas and coffees but she hasn't been trained how to deploy the emergency chutes. If the pilot or a passenger were to become ill, well let's not go there. Let's face it this simply wouldn't happen. It wouldn't be ALLOWED to happen. Scenario B. You're at Christ's Hospital Station in West Sussex. A few commuters are milling around but you need a ticket. Unfortunately the ticket office is only open 4 hours a day, and not when you are there, so you are faced with a confusing machine that won't tell you the cheapest fare anyway. But with more luck than judgement you get a ticket and make your way to the platform, listening out for automated announcements telling you by how many minutes your train is delayed. 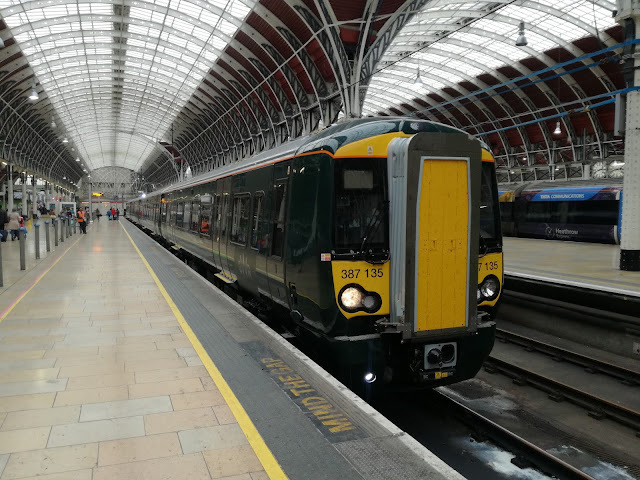 Eventually a 12 car Class 377 Electrostar arrives - a 245 metre monster capable of carrying over 1,000 passengers, even if 25% of them will be standing. You find a seat, as this operator doesn't have seat reservations, and you travel to London without seeing a single member of staff. Oh sure there's a girl with a trolley selling expensive teas and coffees but she doesn't work for the operator as catering is sub-contracted so if anything happens she'll be of no use at all - she won't know how to open the doors in an emergency that's for certain. It emerges the driver of this massive machine is the only crew on board. If the driver or a passenger became ill, well let's not go there. But that is the future if Southern get their way and you can be sure others will follow. It is ALREADY allowed. The industry managers and number crunchers say DOO is safe. However they have all failed to take one thing into account. There is a massive difference between being safe and FEELING safe. Not a day went by, when I was a Conductor, that someone didn't deliberately sit in the coach I was in as they felt safer. 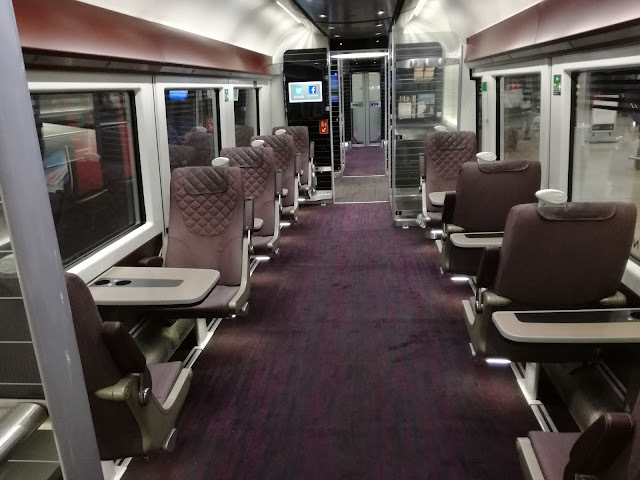 I did separate football fans, sort drunks out, move people into 1st Class if I knew they were going to be swamped with schoolkids, and yes probably save the lives of a couple of people who had violent fits on board my train. By co-ordinating the emergency response I was able to get them attention a lot quicker than had they had to wait for the train to stop because I didn't have the distraction of driving the darned train at the same time.. I was able to warn a mum to get her 3yo to sit down whose head was at table level approaching a kink in the track that would have probably knocked the kid out. I knew where to wake people up on the last trains so they didn't wake up in the middle of nowhere. And of course, I was responsible for making sure the train was secure and safe to leave a station, and for evacuation if need be. I was trained to the required standard. The job of a train driver is extremely stressful. They have to be alert for every possible eventuality, from obstructions on the line, to suddenly changing signals, to poor souls jumping in front of their train, or idiots playing chicken. 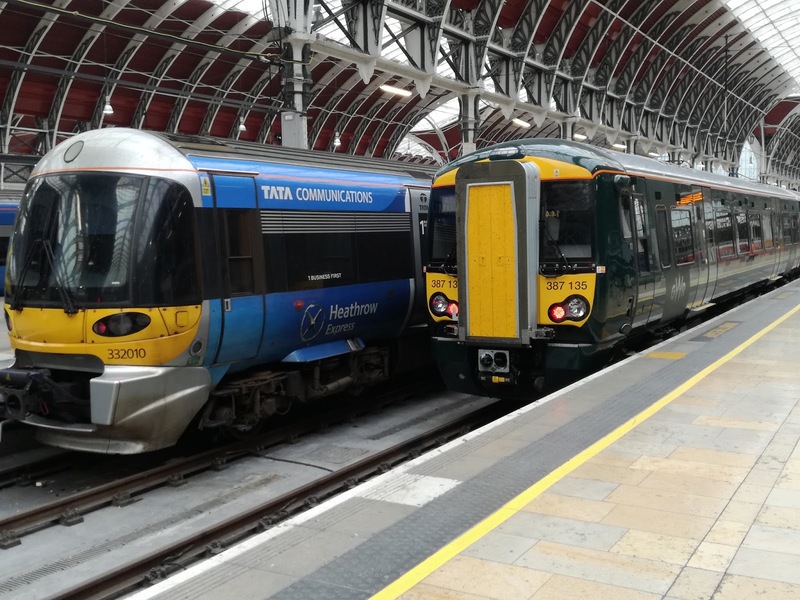 They have to know every square inch of the routes they drive, where every signal, crossing, set of points, tunnel, emergency phone, braking point, dodgy adhesion locations are and countless other things. Do they need to be responsible for the passengers as well? The strike is over who closes the doors. 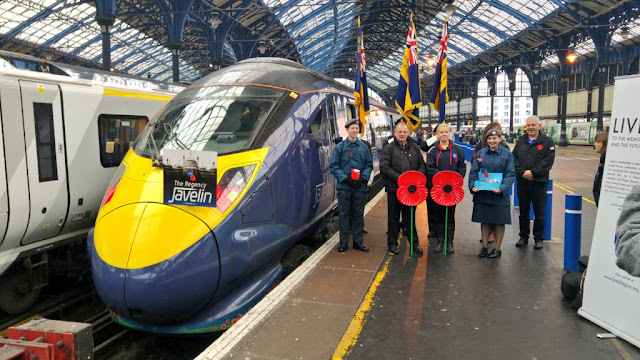 I took part in a similar strike on Southeastern when they wanted to expand DOO from suburban trains to mainline. The doors issue is symbolic rather than the be all and end all. If the second safety critical role trained member of staff is taken off the train it makes passengers more vulnerable. We've all seen stories of gangs storming through trains in South East London threatening and robbing passengers. Funny - that never happened on my train or the train of any of my colleagues. Of course if the criminals know the train is unmanned it's like Christmas come early for them. If I could see someone struggling with a load of kids and 5 suitcases I'd go and help them - apart from anything else to keep delays to a minimum. If someone blind boarded I could, and did regularly help them. None of this should be the driver's role - the driver should drive, focus on driving and that's it. 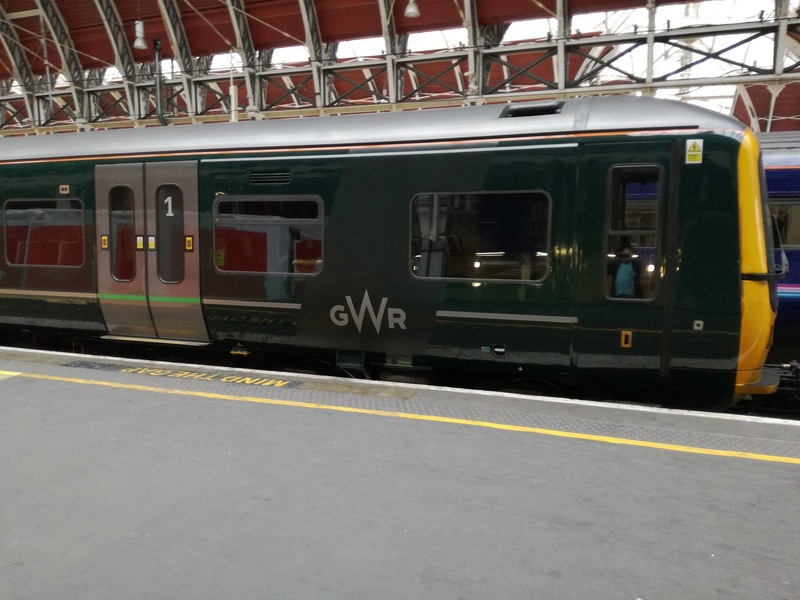 Sure, they can release the doors, that's no more than putting the handbrake on but then they should be allowed to relax for a few seconds while the guard does their job of making sure the train, and its passengers are safe to continue. Now that's not to say I'm against DOO in a blanket way. 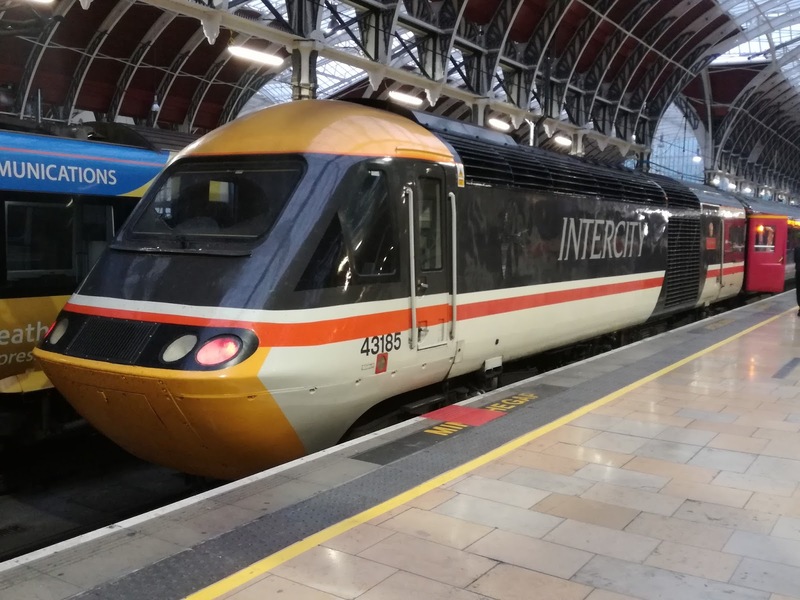 If the train is stopping every couple of minutes, with staffed stations as the majority are certainly in the London DOO area, and Underground, then it makes little difference and in any case the average journey time is a lot shorter. You could never walk through suburban stock anyway in the past so those passengers have been brought up with the idea. But not if someone is going to be on a train for a couple of hours. 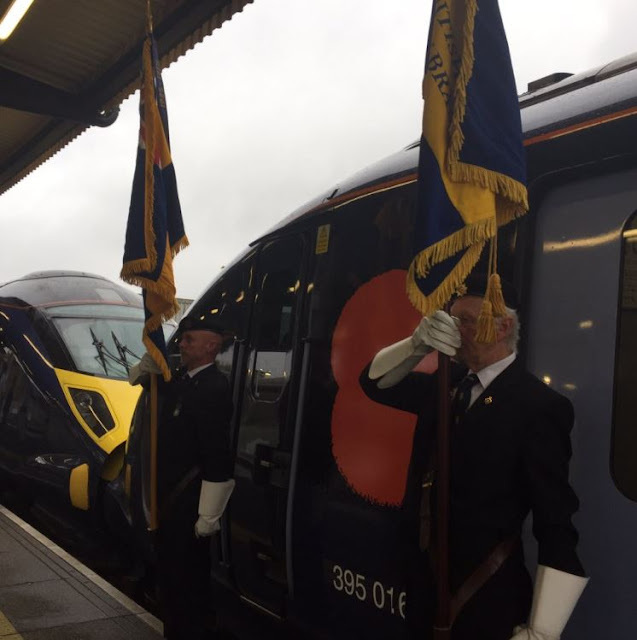 What about disabled passengers at un-staffed stations? What about my Mum travellng up to Leicester to see my brother. Who's going to help her? I repeat there is a difference between being safe and feeling safe. Southern say they will not reduce the presence of the Conductor on board trains that become DOO. Southeastern did though. If our mainline trains were on weekend diversion up DOO lines we'd find ourselves having to get off at the boundary, and because they were temporary duties couldn't do a thing about it. If the safety critical role of the Conductor is not preserved then the operating companies will be able to remove them from trains at a moment's notice, and remember Thameslink are already entirely DOO. Who would you feel safer with leaving East Croydon on a Friday night - a train with a Conductor walking through making sure everyone was ok, or Thameslink with just a driver totally oblivious as to what's going on behind him. I know which one I'd want my kids to be on, let alone my Mum. A few months ago a shocking story emerged from C2C. 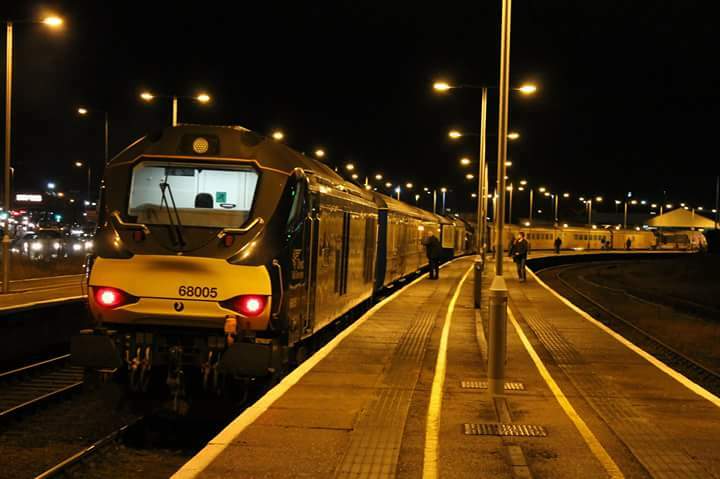 A train had stopped at an unusual location, and no one knew why. It was 40 minutes before it was discovered the driver had suffered a heart attack and died at his controls. The safety systems kicked in so the passengers were in no danger. Stuck on a train not knowing what the hell was going on but in no danger, so the number crunchers will be pleased about that. I can say without a doubt had I been the guard on that train I'd have felt the emergency brakes kick in and when I couldn't contact that driver been in the cab within a minute. 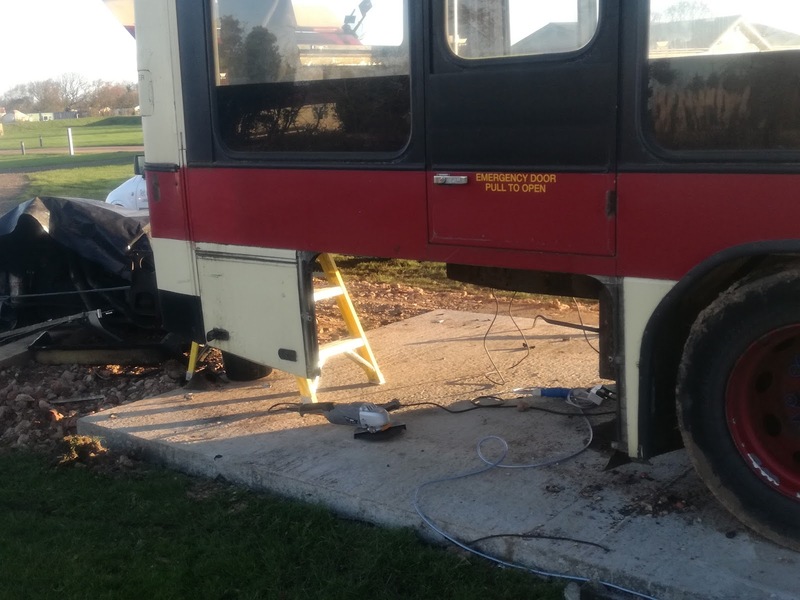 We'll never know if that could have saved the driver's life but it does beg the question. Sometimes you have to take money out of the equation, although Southern say this has nothing to do with money. OK. 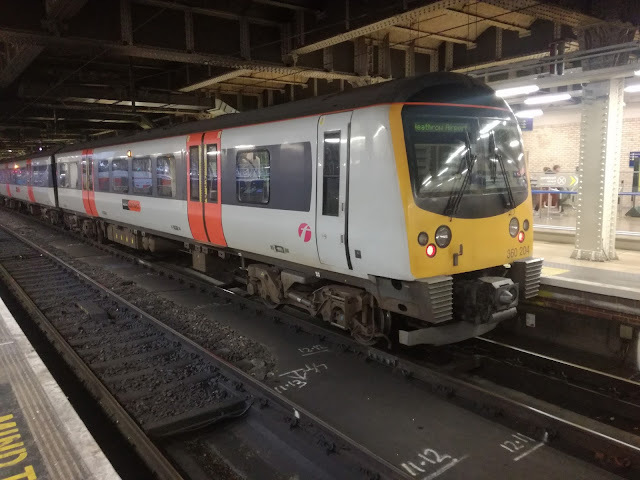 So why do they want to take door closing responsibilities off the Conductors - they have been closing the doors for over 10 years on those trains now. They aren't saying the driver closing the doors is safer than a guard doing it - it's just no less safe. If it ain't broke don't fix it, yet for some reason Southern do want to fix it, and it's no wonder the unions smell a rat. 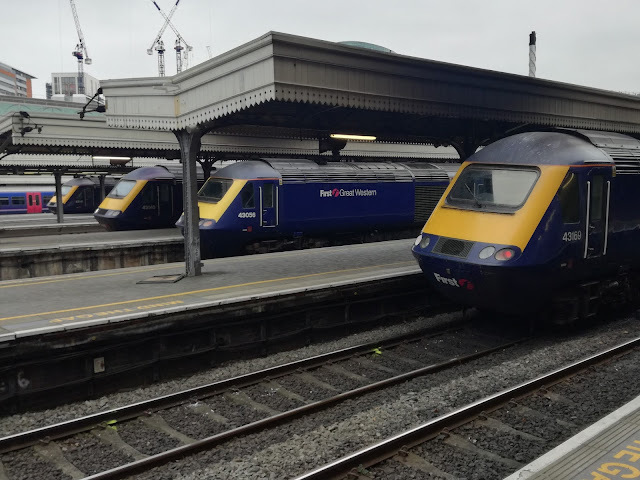 It is also rather indicative that the public do not seem to be at odds with the unions, but are giving Southern all the blame. We had massive support from our passengers when we went on strike because they WANTED our presence on the train. Seems Southern passengers are the same. The striking Conductors, and now drivers have lost thousands in earnings in this dispute. They think it's worth it, and that alone shoud make everyone sit up and take notice. I don't expect those in favour of DOO to change their minds just because of what I have written, but I do say to you don't ask railway managers or even journalists what they think - certainly not politicians, but ask the passengers. They'll tell you if they like the idea of DOO or not, and without the passenger you have nothing. In Part One (click here) we had a Class 47, an even shorter Short Set, some blurry 68's and an extremely good looking Norwich Red Line Gemini. I have always said I will explore the Norwich Network more thoroughly once there are decent buses on it. The Blue Line was done years ago, I've done the entire Purple Line through necessity more than want, done more of the Yellow Line than intended due to getting lost, and the Green Line between Norwich and Brundall. The rest is a void in my education. Now there are a couple of Geminis on the Turquoise Line that stands a chance but I decided on Thursday to do the Red Line back to Thorpe as long as it was a Gemini. 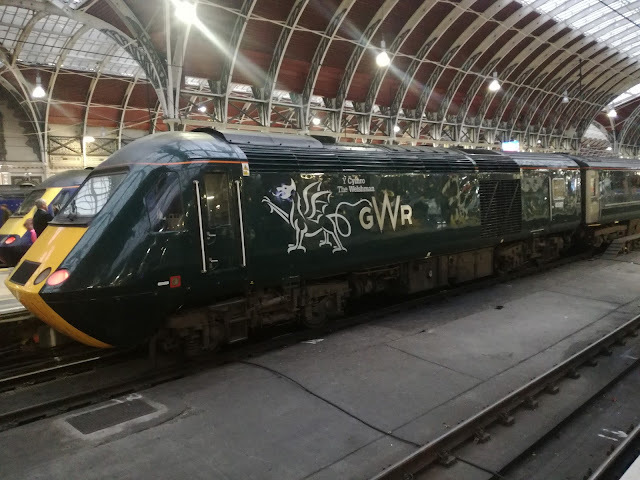 Luck was in as 36192, minus front fleet numbers First please note, arrived and I embarked on a route that must take a considerable time to learn. 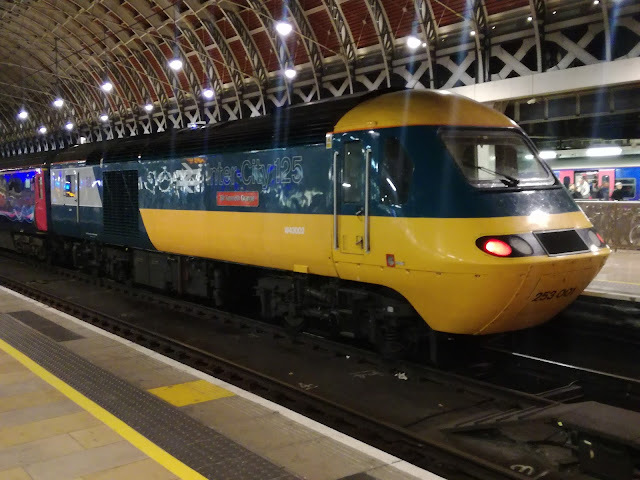 It's not scenic in the slightest and wild horses wouldn't get me doing it on a President but it's one to tick off the list, and the Gemini gave a decent ride. I now appeal to the Head of Engineering at First Norwich (Chris pass this on please). Using current industry buzz words the "customer journey experience" would be much enhanced if rubber strips could be applied to the inside of what used to be known as "blind box doors" to stop the incessant rattling that the ill fitting doors produce. Wright's fault not yours but it would show consideration for passengers that many operators lack involving minimal cost. Anyway my luck was really in. Due to traffic congestion caused by temporary lights in Thorpe the 24's were not going to their usual (and my) destination of Sainsbury, and so I ended up at the alternative terminus in Dussingdale which gave a great photo opportunity and chance to natter to the extremely friendly driver, who dropped me back off as close to Sainsbury as possible. So not only great pics but pics at a spot few will get. 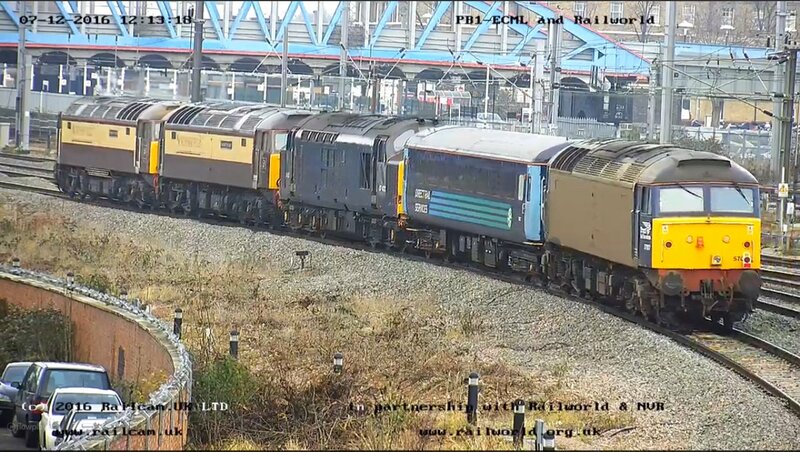 In case anyone is wondering what front fleet numbers I'm referring to here is a much more identifyable 36189 in Castle Meadow. Not 100% in focus as it was a quick rush job to get the pic. After another excruciating journey back to the car on another Streetlite (it's not the driving but the ludicrously jerky braking system) it was over to Wymondham for the Network Rail Test Train. 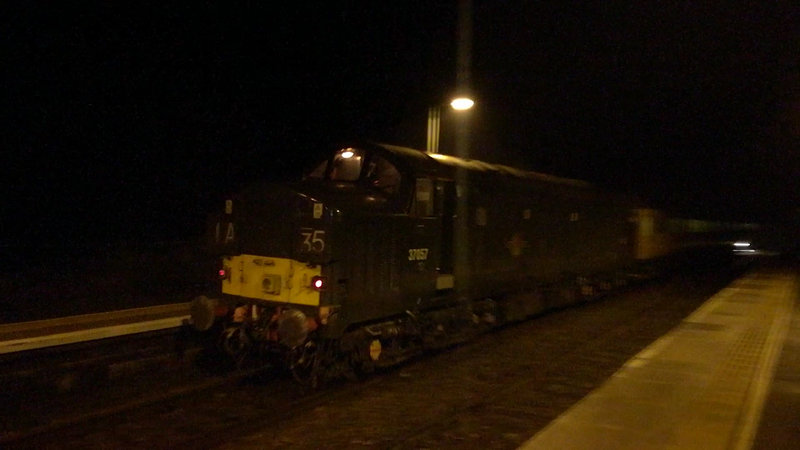 Knowing what locos were on it in advance made it a must, although sadly I also knew it wouldn't be the regular driver. My old friend 37057 was returning together with a 37 I have wanted to see in the flesh for a long time - the Intercity liveried 37254. 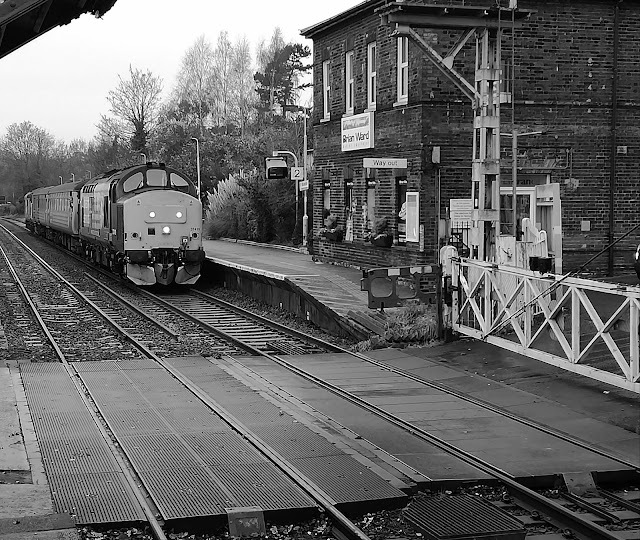 A few minutes early in the gathering gloom at 1530 the train glided through the station and was held at the signal just ahead, which meant some good growl as she pulled away. 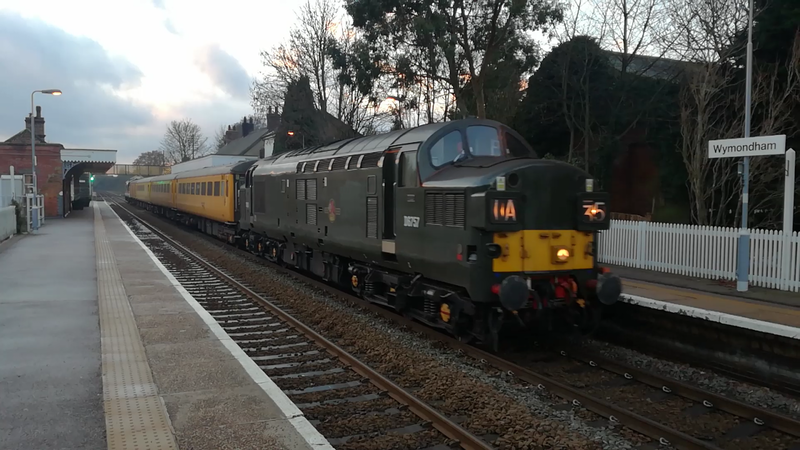 The idea was to head back to Yarmouth and meet up with Tim to see the test train there, but I had used up enough petrol, needed a windscreen washer bottle the size of a swimming pool and knew I was seeing it later at Darsham so drove home. What a mistake as Tim got a photo opportunity one can only dream of. 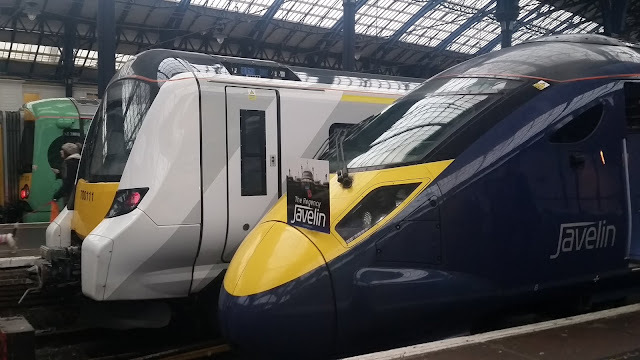 On the same platform as the test train with its two unique 37's arrived the Class 68 hauled set. 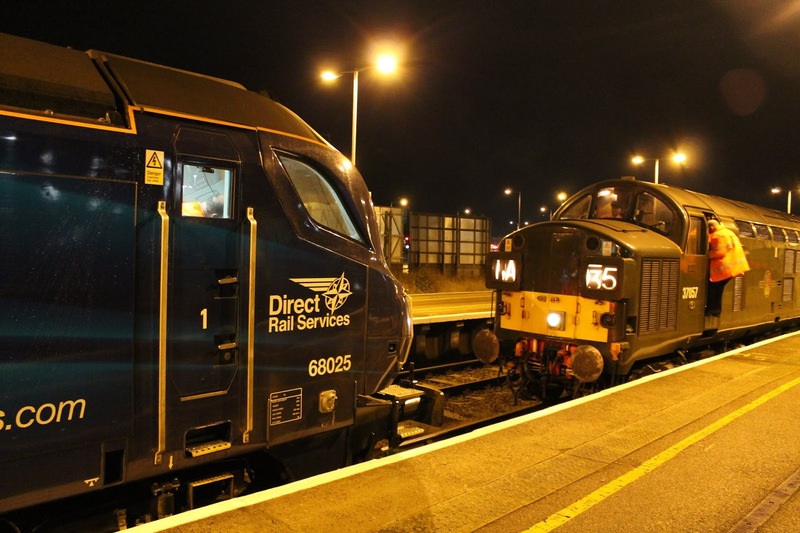 This led to a glorious face off between 37057 and one of it's youngest pretenders, the over 50 years younger 68025. To see these magnificent beasts together really is a collectors item, and at a very unlikely location. Didn't even know Great Yarmouth had permissive working (two or more different trains on one platform). But a great birthday present for Tim! And so, kicking myself for not seeing that, back in Suffolk I headed to Darsham for my usual 37 thrash video. By this time the test train was running a bit late, and that had rather unfortunate consequences. Safe to say I wasn't amused. Even less amused that despite sending the bid to Greater Anglia I haven't heard a peep from them, when Virgin Trains East Coast gave a chap a trip to New York when one of their trains bombed his video of the Flying Scotsman. Will try again! So that meant my already long day was extended well into the night as I returned to catch the test train returning back towards Lowestoft. The time is 0130, and it's eerily quiet. I heard the train approaching at least 3 minutes before I saw it, but on the return trip it just glides through so no aural treat. 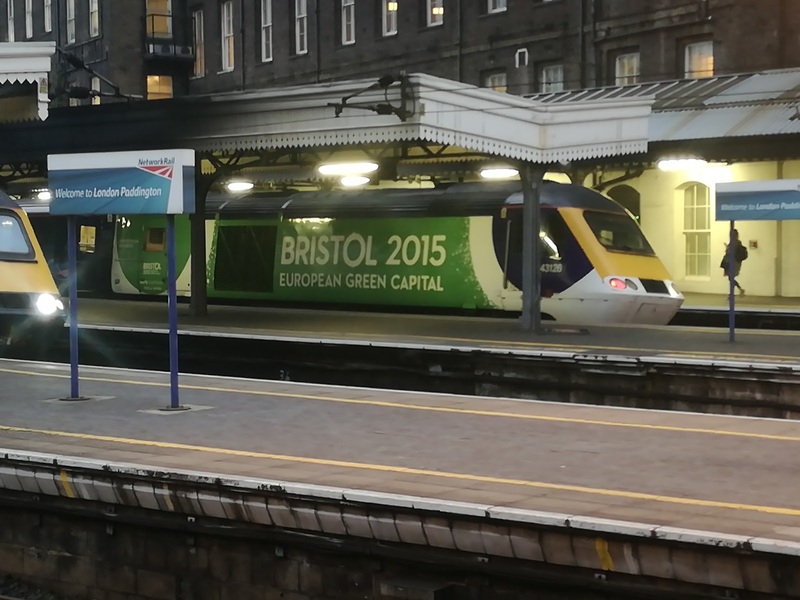 Nice acknowledgement from the driver though, who must get constantly bewildered by nutters out in the dead of night videoing trains! And that completed a long but highly enjoyable day. So enjoyable I'm thinking of taking this up as a hobby! My thanks to all the people I nattered to during the day, as well as the locos for still being around, a testament to the quality of their build. A quick reminder to please vote for the blog at the National Blog Awards 2017 - full details here. All steam enthusiasts cover your eyes. I think of steam trains in the same way I do Victorian dresses or gas lamps. I have never seen them in action in normal life therefore I can't really relate to them. It's important they are preserved so future generations can learn about them but not really a bag I'm into. Not many steam trains will get me out of bed early that's for sure, but the Duchess of Sutherland is one of them. 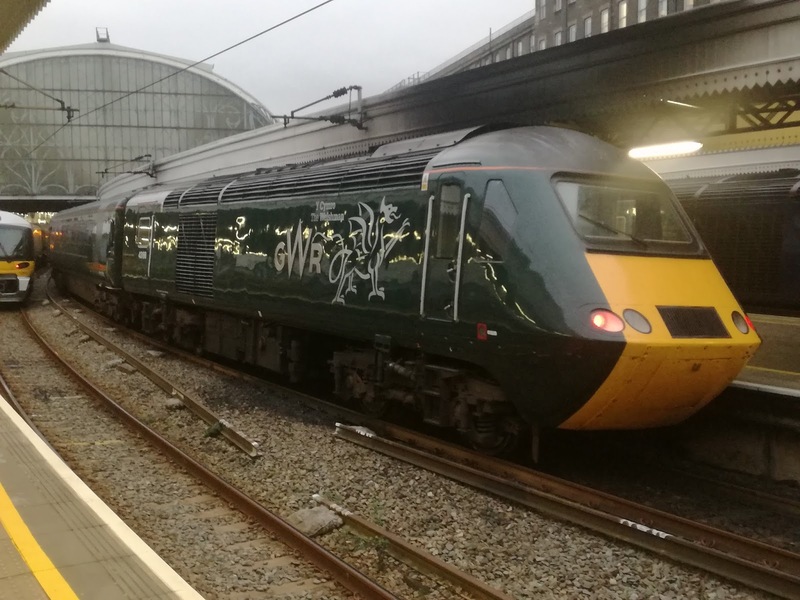 I had seen she was due to haul a railtour from Norwich to York on Thursday, and combined with the possibility of a test train in the afternoon I decided to make a day of it. I've also got some pics from other esteemed gentlemen. This will be good. Except the Duchess never made it. Thanks to some killjoy pen pusher at Network Rail she wasn't allowed East of Peterborough due to "gauging issues"and so the Norwich - Peterborough section was hauled by a West Coast Rail Class 47. 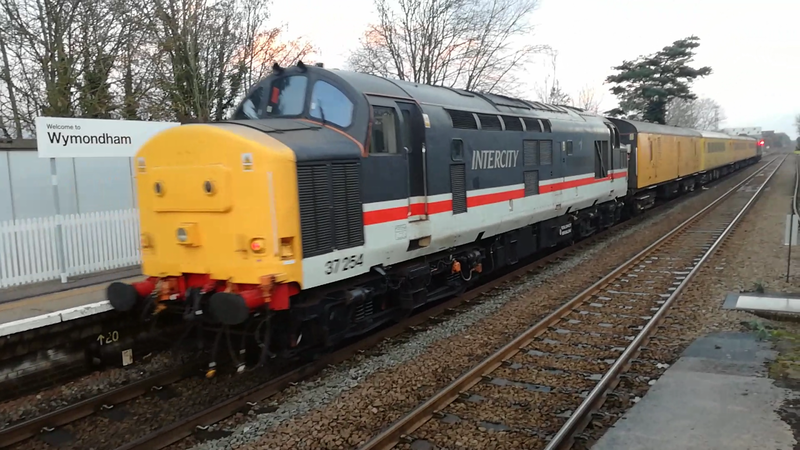 Initially I wanted to video the train at Wymondham but slow traffic put pay to that. 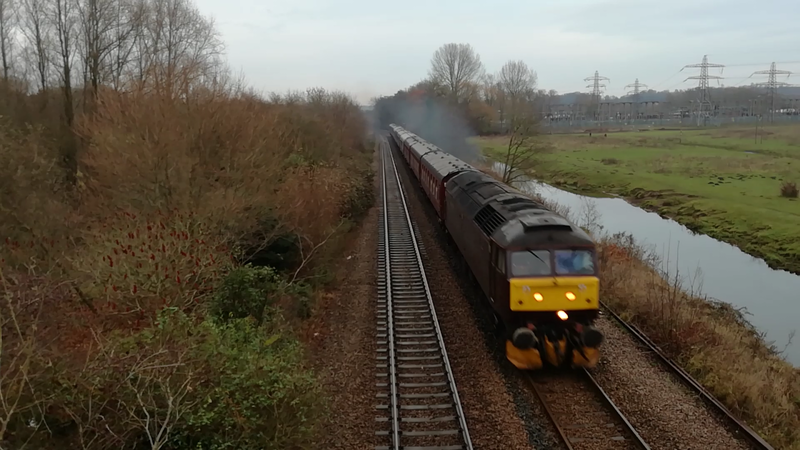 So I abandoned the car just West of Trowse, and got my own back on the traffic by standing on a narrow bridge making everyone slow down as I stood waiting for the railtour to appear. A couple of minutes later and 47760 honed into view. I will post a still and full video for every train I targeted on the day. 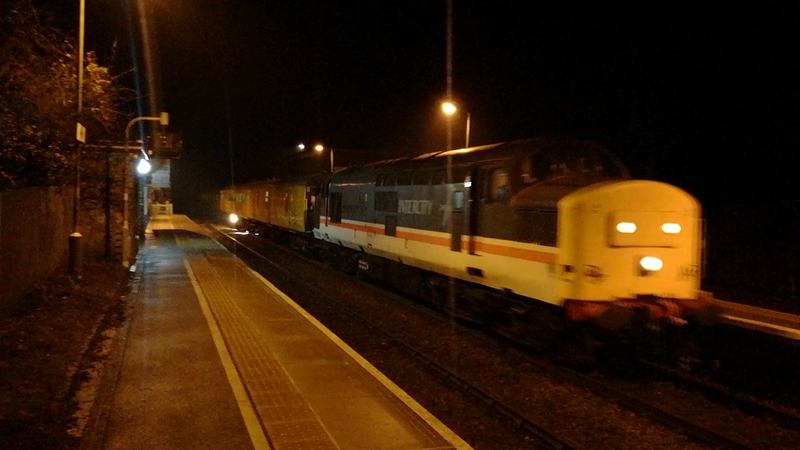 That gave me 15 minutes to find a good location to see the other hauled set, the 68's. I found a bridge on a country lane between Brundall and Lingwood and got ready. Very soon the set appeared with 68005 leading the Mk II's, with 68025 on the rear. 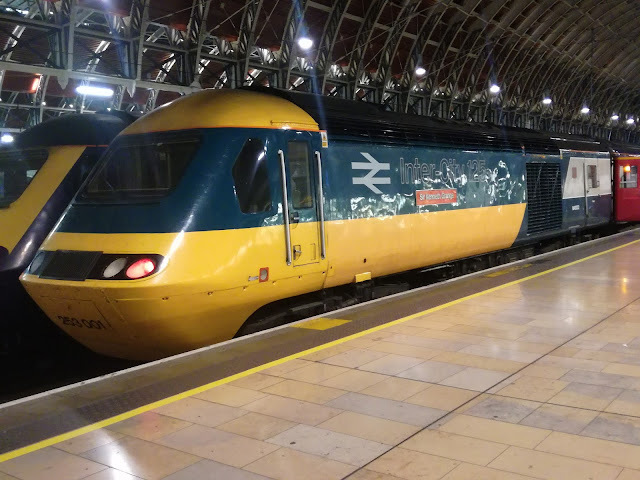 Not sure why everything seemed so blurry on this one, but the video is better than the still, even if the still gives a good impression of the motion of the train. 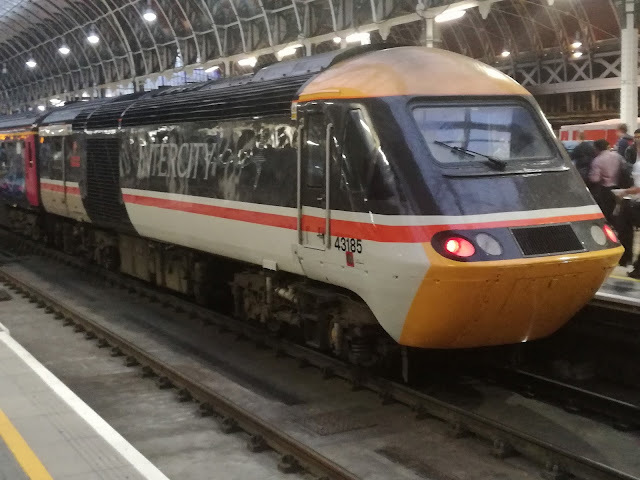 Now the sharp eyed among you will have noticed something about the Class 37 set. It has shrunk to two coaches to become the "Shorter Set". This became gloriously evident at my next location. 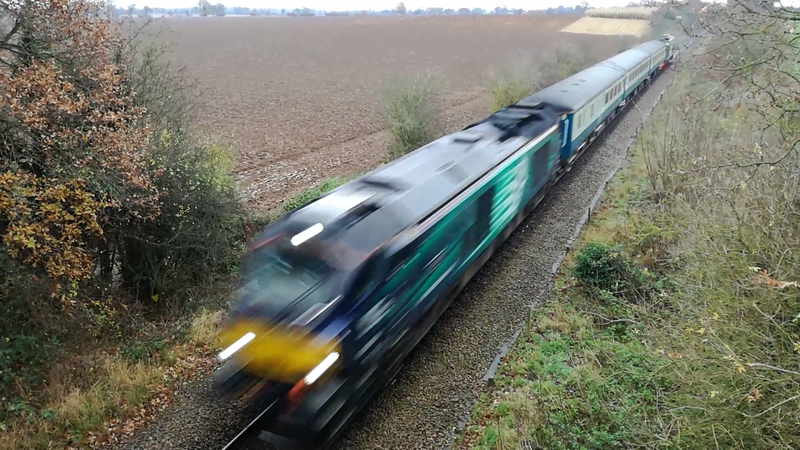 I've wanted to get a video of the set running parallel to the Acle Straight on the A47 ever since it started running with 47's, and I finally got my chance. Having the traffic roar past me less than a yard away was an experience but I got the video I wanted. 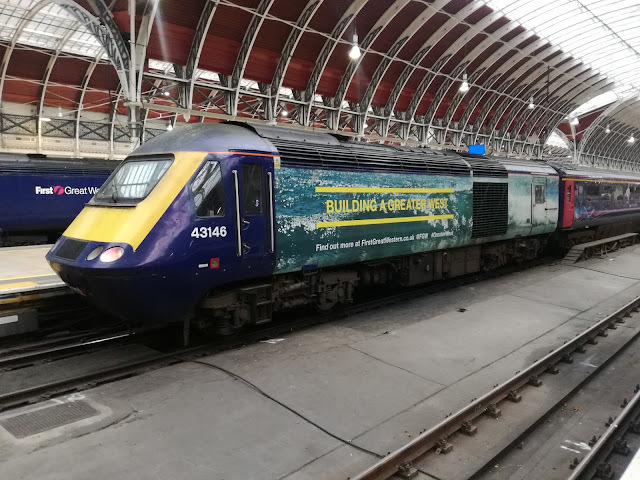 This time 37405 is leading. So what happened to the third coach? Luckily fellow blogger and DJ fantastique Grahame Bessey was hard at work watching Railcam on Wednesday and spotted this rather extraordinary convoy heading from Norwich to Derby passing the Peterborough cam. Absolutely no idea what the coach was doing in the convoy but assume something not working on it. So far so good and it was time for a change of mode (but still diesel). 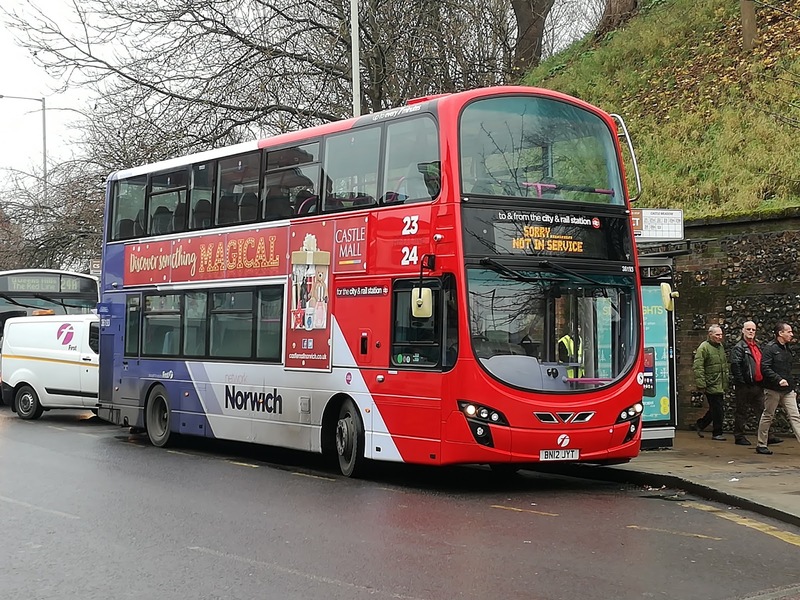 After a quick shopping trip to Yarmouth I drove back to Thorpe St Andrew and caught the bus into Norwich. 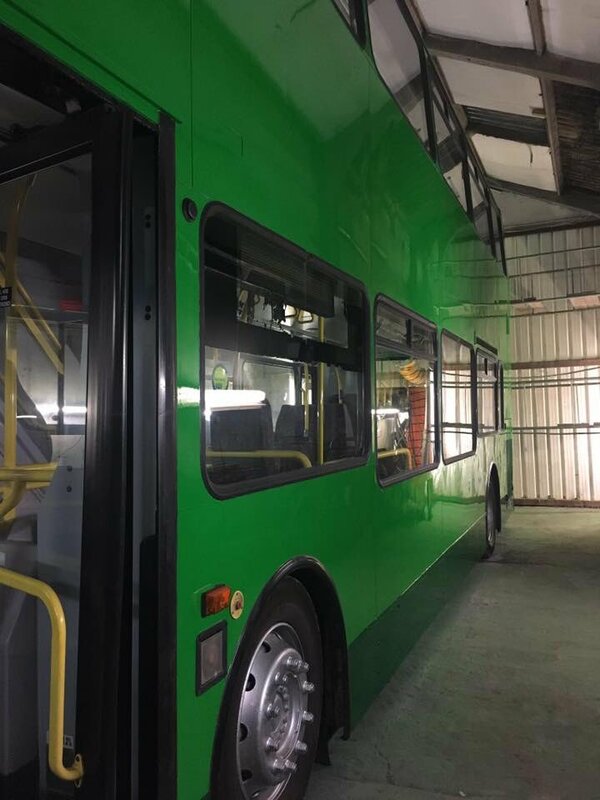 I will gloss over the hideousness of the Wright Streetlite I travelled in on because I needed to see something in the flesh. I had been told the newly painted Red Line buses in Norwich looked good and my word don't they just. 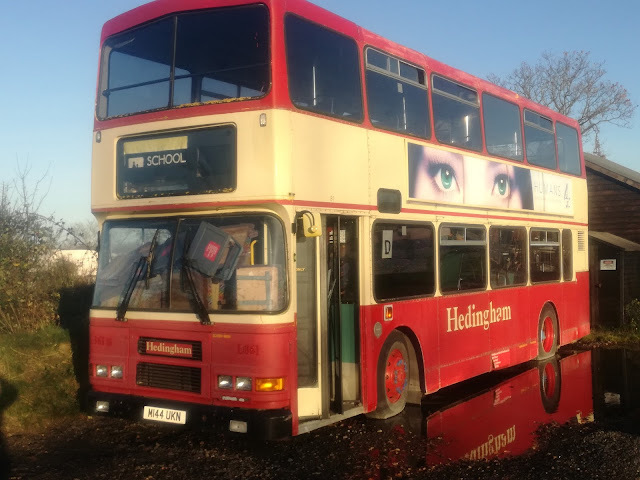 Even the unavoidable dirt on the buses (you should see the car at the moment) failed to mask how good this red looks. That took me to lunch, and a good first half of the day it was. 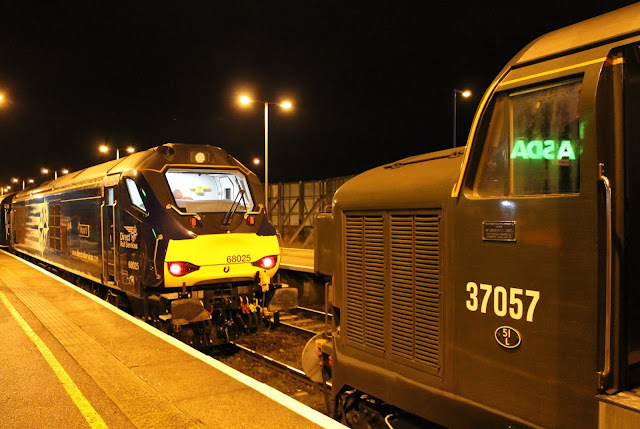 In Part two I travel on the Red Line, then spend the rest of the day chasing a test train, with a spectacular fail at Darsham and some quite brilliant pictures by Tim of a face off between old and young at Yarmouth. Now some self indulgence. 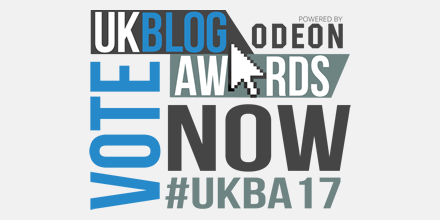 Some kind soul has nominated the blog for an Award at the 2017 UK Blog Awards and I'm humbly appealing for your votes. To do so you need to click on the link at the end of the paragraph. You will need to give your email address but I stress I will not see who has voted. The sole reason email addresses are required is to stop multiple voting from the same address, so all you Anons rest assured you will remain so. It would be nice to promote the problems facing rural transport on a national stage. To cast your vote please click here., and I thank you in advance. Voting closes on Monday 19th December at 10am. There have been reports in the local media that First have snatched the P&R fro Ipswich Buses, and are to start running the service from July 2017. 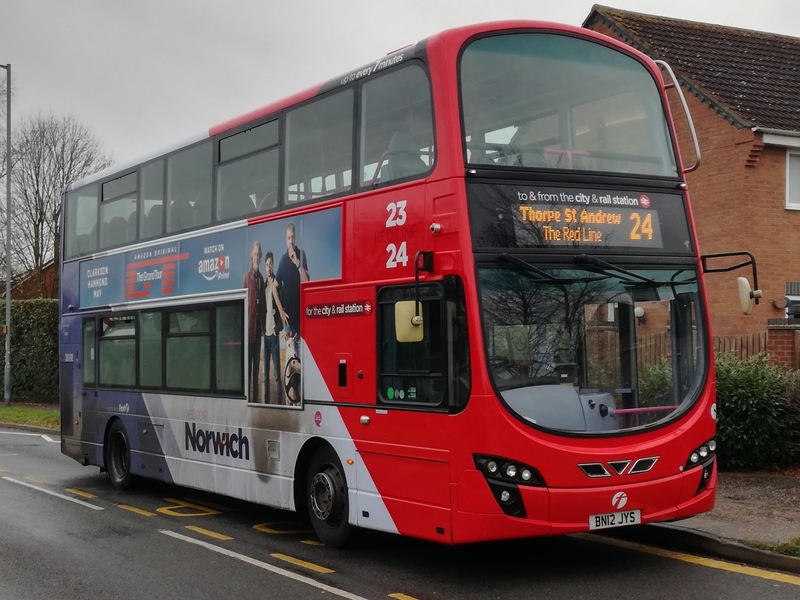 The reports claim 20% fare rises, outrage and ignorance within Ipswich Buses, and ridiculous claims from local politicians. First have indeed got the Park & Ride PROVISIONALLY!. The new structure still has to be approved by Suffolk County Council, which will not be until next week. Fares have not even been discussed so where the 20% comes from is anyone's idea. 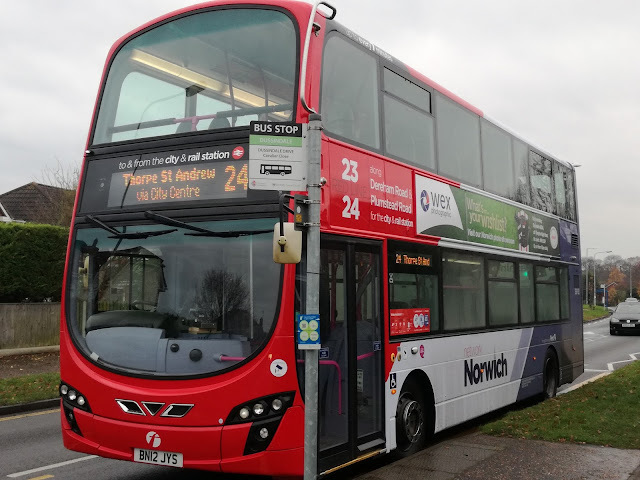 It is also worth noting that to my knowledge Ipswich Buses did not want to provide a dedicated P&R service, instead extending the 13 which anyone with an ounce of sense would realise that would mean mixing P&R and Chantry passengers. A bit like setting Masterchef in McDonald's. Get your bloody act together and work for the County not your own egos. 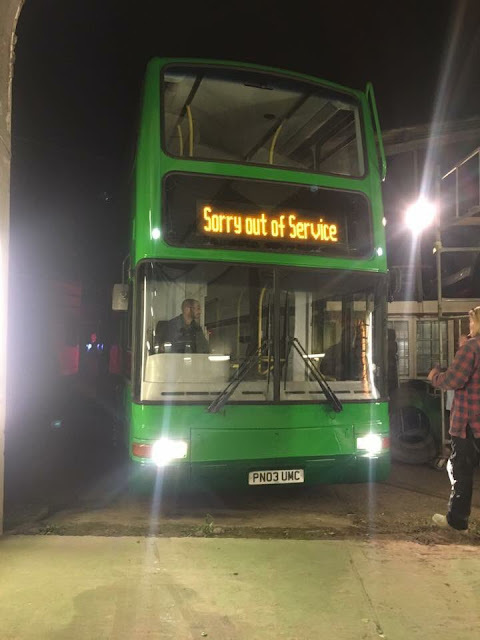 It doesn't matter if the Park & Ride is operated by First, Ipswich Buses, Donald Trump or Mr Blobby - until the never ending traffic and roadworks issues in Ipswich are sorted it's going to suffer huge delays and will put people off coming into Ipswich. You are becoming a laughing stock except there's nothing remotely funny about it. If Ipswich dies as a town the buck will lay entirely at your collective feet. Grow up and serve which is what you were elected to do. When First release hard facts and details about Ipswich P&R I will report them. Until then don't read too much into speculation or headline grabbing by the newspapers but it might now give you a bigger idea as to why Jeremy Cooper decided he'd had enough. With grateful thanks to Cameron Robinson and Tom O'Reily I can bring you the first pictures of some of the gas buses in their new guise down at Plymouth. 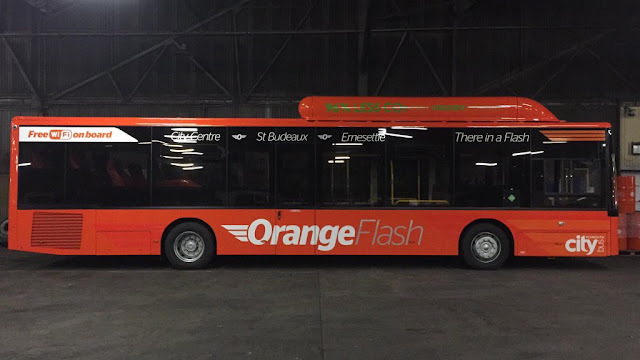 Five of them have been repainted into Orange Flash livery, and enter service today (Monday). 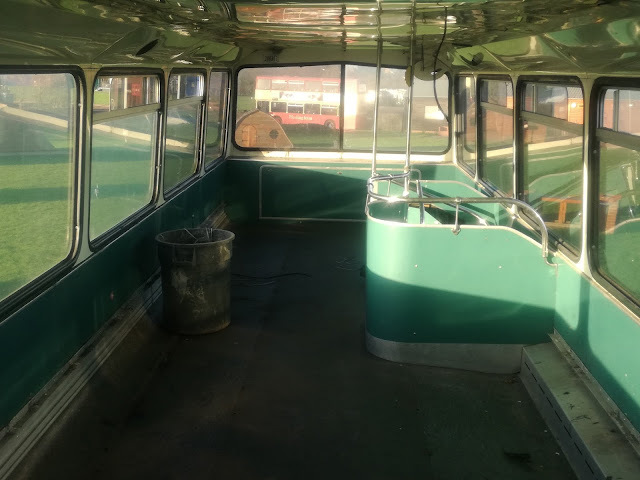 WiFi has been installed but I understand as yet there has been no refurbishment except a new driver's seat. Five buses have been painted Orange, with another five to go purple in the New Year. 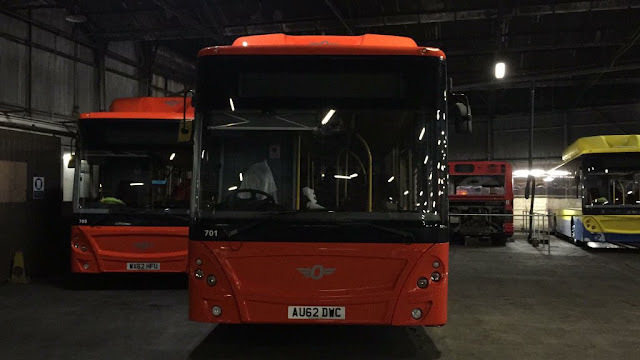 The final two will be painted into standard Plymouth Citibus livery. Not completely sure that "There in a Flash" is the most reassuring slogan for a gas bus but they certainly look better than I envisaged. More pictures as I get them. My thanks once again to Cameron for finding the pics, and to Tom for letting e use them. Much appreciated both of you. 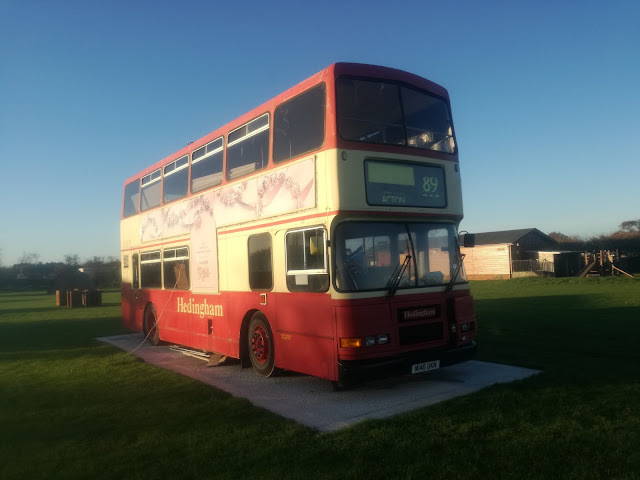 Forget Winter - Da Party Bus Is Here! A couple of weeks ago I gave the link to a couple of Airport cams - Miami and the hair raising Juliana Airport in St Maarten, which is in the Dutch Antilles in the Caribbean. I know that more than a few of you have caught the bug, become addicted to the cams and also passed it on! 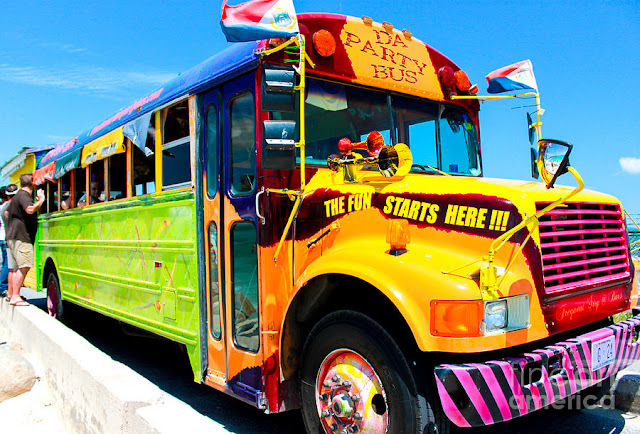 If so you may have spotted on the St Maarten cam an odd looking bus. It looks like a traditional US school bus with a yellow shed attached to the rear. 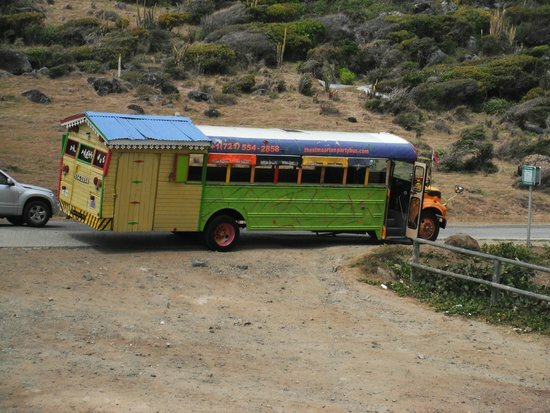 So I decided to do some research having seen this bus a few times and silly me it's not a shed but a traditional Cajun beach hut! 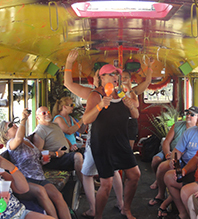 This is Da Party Bus, a tourist attraction that takes holidaymakers on a 4 hour what is commonly known as a pub crawl round the island, charging the modest fare of only $49 per person. Makes Anglian seem value for money! Anyway the glorified shed does have its purpose - DDA has reached the Caribbean and it houses, or should that be sheds among other things a wheelchair lift. Judging from the reviews and pictures available online it does seem extremely popular, although it seems if you want to go on it make sure no cruise ships are in town. Now I'm thinking our local operators are missing a trick here. 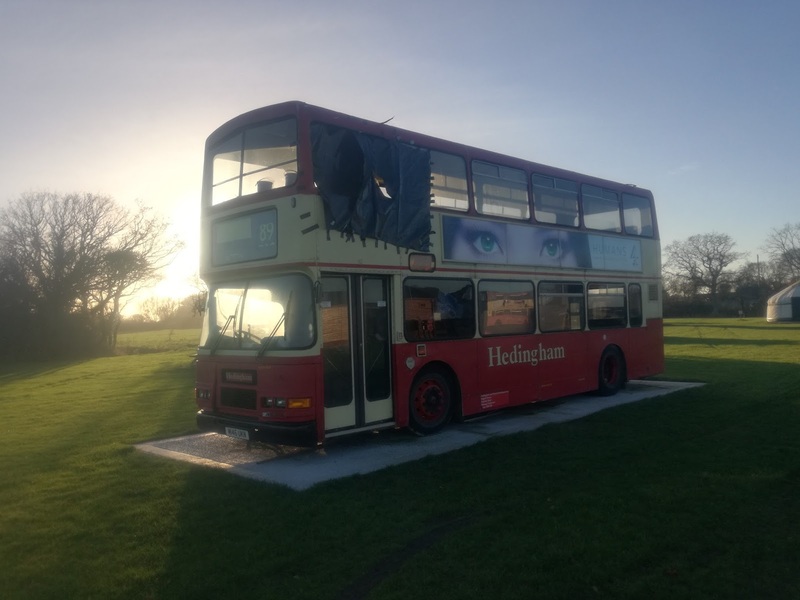 Stick a bar at the back of every 146 and passenger numbers will rocket. Da E200 Party 146 Bus. Sounds good eh? 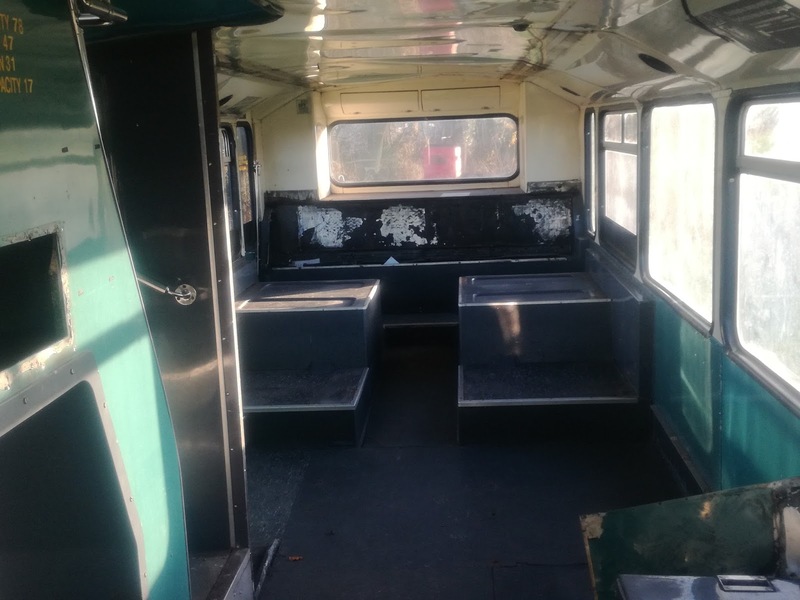 Ok I know we haven't got Caribbean weather so windows can't be completely removed as they are in St Maarten, and rules concerning alcohol and public buses would have to be a tad more flexible but hey - it's all about bums on seats laddie! How's that for a paint job! 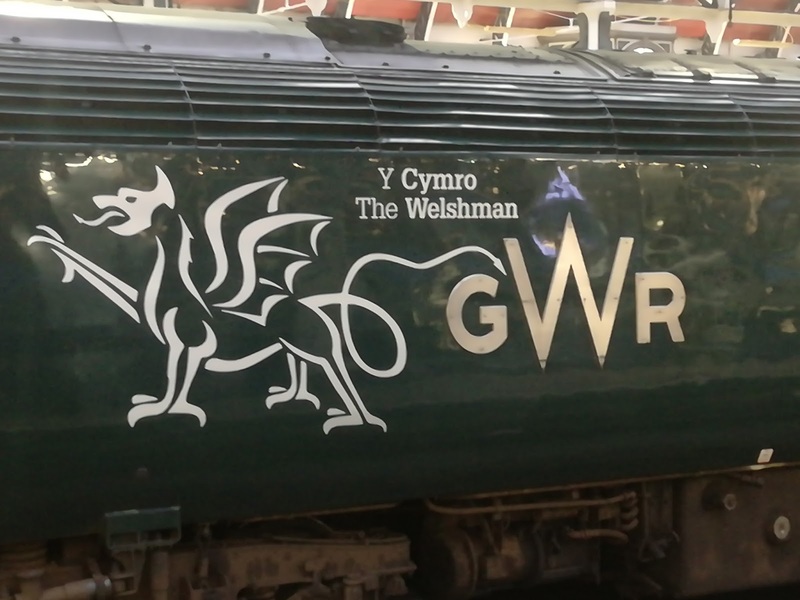 All images are freely available on Google Images but if anyone objects to their use let me know but a name will be required to prevent me ignoring you! To see full details and more pics of Da Party Bus the official website can be seen here. Good luck spotting it on the Maho Beach Cam. 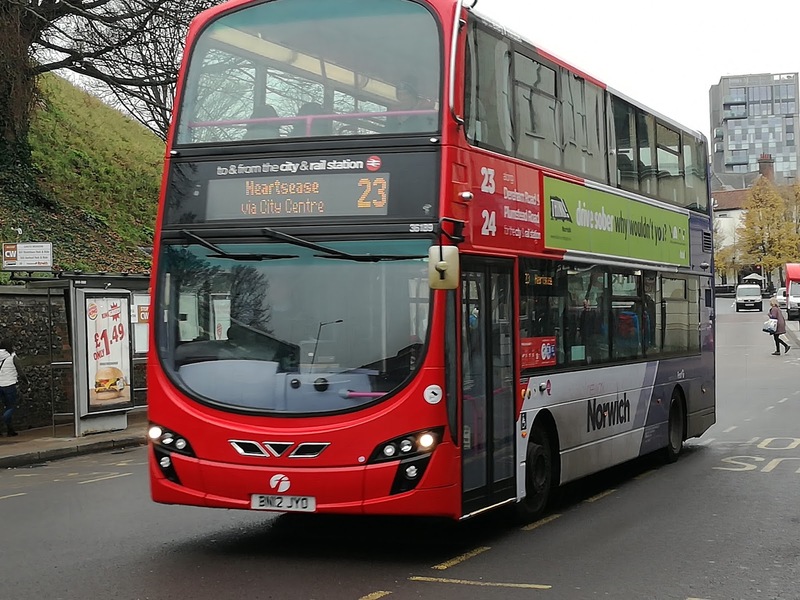 Also this week I was contacted by former FEC supremo David Squire, soon to take up his new post at RATP Dev UK, who have several bus subsidiaries including London united and Bournemouth Transport. 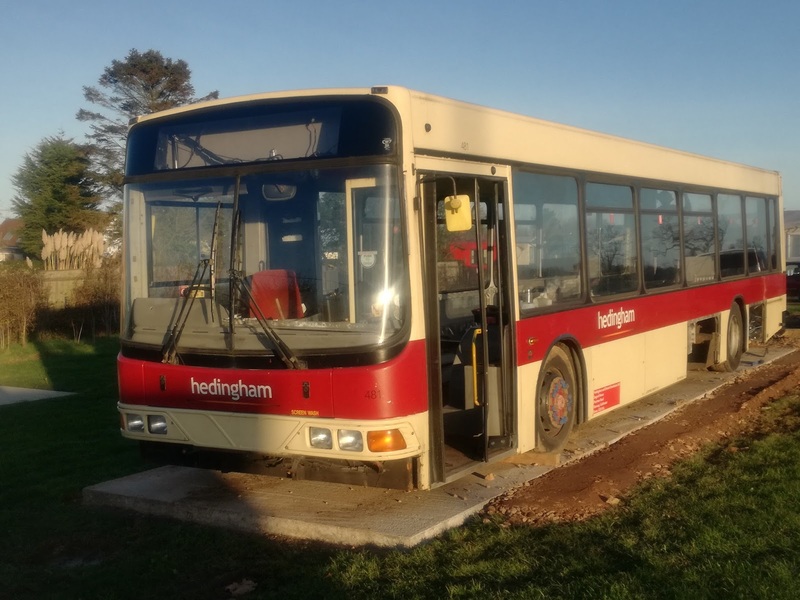 He has been on his travels again and kindly sent me a few pics from Portugal, including a bus in a rather familiar livery. 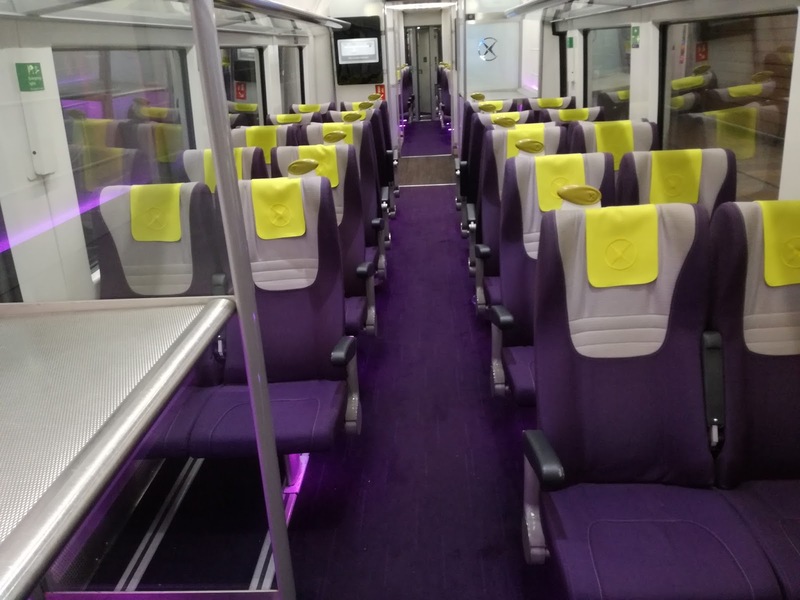 David explains; " I'm away in Lisbon and travelled north up the coast to Cascais, the local operator was previously owned by a famous company from Perth and has retained the 1980s style colour scheme under private ownership." DAvid also likes his trams - RATP Dev UK also run the Manchester tram network - and sent me pics of some of Lisbon's examples. "These "elevator" trams are superb although covered in graffiti as they are parked in town overnight. This one swallowed up a crowd plus a wheel chair - it isn't low floor, no ramp and no fuss, the route saves users the trouble of a walk up a steep hill in case you were wondering"
"Final one is of the red livery used for a tourist route, ten minutes into the trip we suffered a blocked line, this is so common place it is included in the on board commentary"
Actually it wasn't quite the final one as David then sent a pic to get all Daimler Fleetline fans salivating! 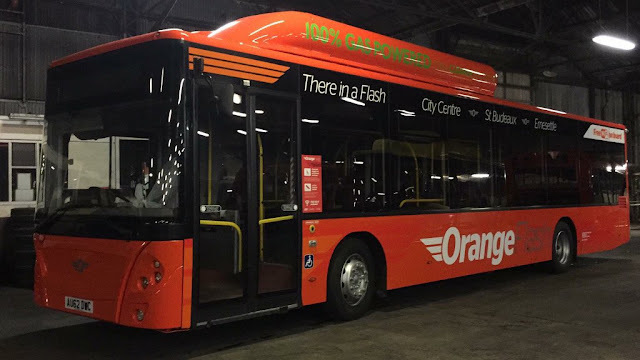 "If readers visit Lisbon, I recommend the 15E tram route to Belem run by a mixture of old and new trams, get off at the Transport Museum (Carris is the operator) it is a working bus and tram depot plus a museum that includes green and orange Daimler Fleetlines, great value at €6 amazingly not a hi viz in sight." Now have I been watching too much David Attenborough or does the one on the right look like it's mating! 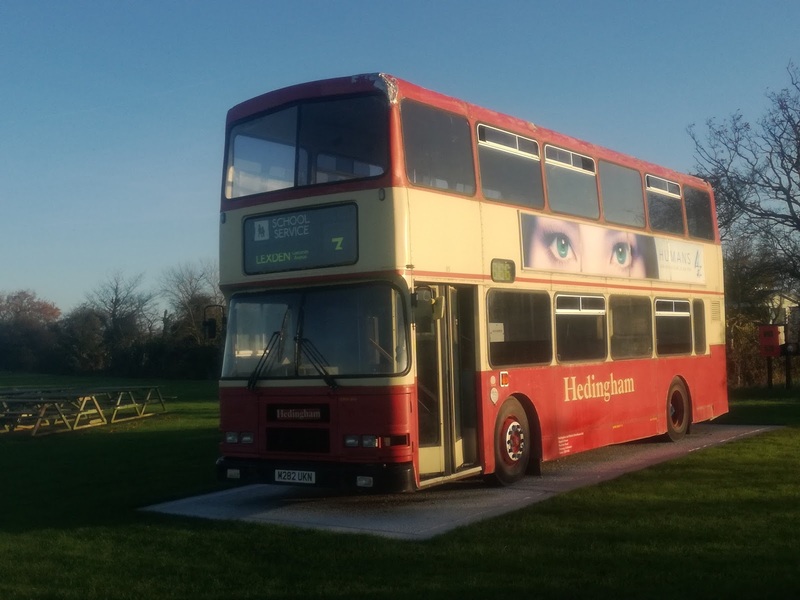 Why those top deck headlights? My thanks to David for the pics, good luck in your new job and stay in touch. 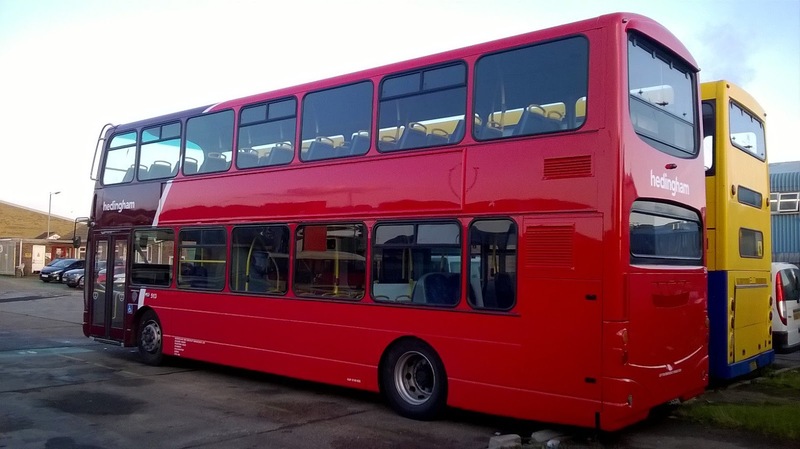 It was brought to my attention yesterday afternoon that Jeremy Cooper, Managing Director at Ipswich Buses has resigned from his post and will leave the company at the end of the year. Rob Bellamy has been appointed Interim MD until a permanent successor is found. As yet the reasons for Mr Cooper's resignation are unknown, and it would be inappropriate to publicise any rumours as I'm sure the reasons will be made available in due course. This morning Mr Cooper confirmed his resignation but indicated he is not speaking to the media at present. As this story develops I will of course keep you updated. My thanks to the many people who have contacted and helped me with confirmation regarding this breaking news. Tomorrow I'll publish the bus with a shed on the back post, as well as some great pics sent to me from Portugal.